Home books Blog tour! 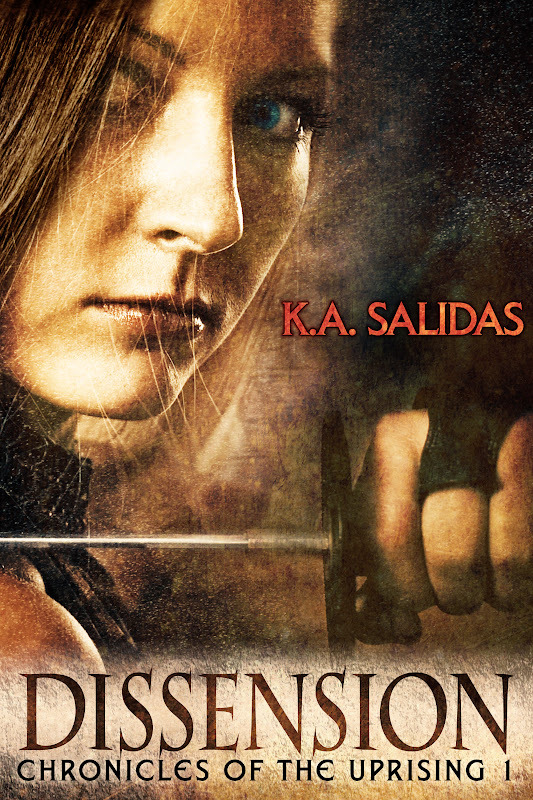 Katie Salidas release day for Dissension! Go check out this awesome book!! 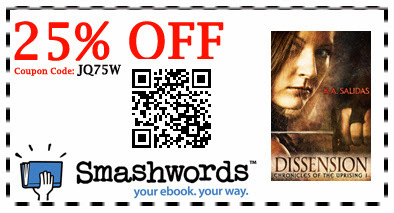 AAAND, if you use this coupon, you get 25% off at Smashwords!!! The hair on the back of Mira’s neck prickled. An uncomfortable weight of unseen eyes settled on her. Dread sank to the pit of her stomach. Busted…and so close to escaping. Someone else was there, watching her. She felt it, but what was more unsettling was the fact they had yet to announce themselves. Guards would shoot first and ask questions later. Someone lurking in the shadows… there was no telling what game they’d be playing. The strange man was tall and well built, but that really didn’t matter much. Mira could take down vampires larger than she with no problem. But that wasn’t the thing stopping her from making a move. Judging by the deep plum of his suit, he was a man of some power. Only the Elite – those in the ruling class – were ever permitted to wear such an audacious color. As desperate as Mira was at that moment, she needed to tread carefully. Being caught escaping—again—would earn her more time in the light box, but injuring an Elite could have her staked out in the middle of town square awaiting the dawn. “Aren’t you going to finish him?” the man asked, his tone calm, soothing, as if he genuinely wanted to know the answer. 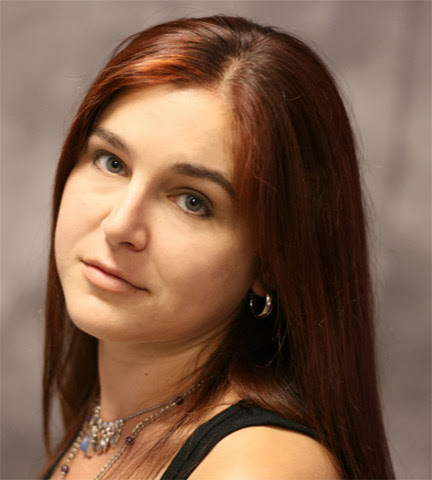 Chronicles of the Uprising, Dissension, Katie Salidas, paranormal, vampires. Bookmark.